Road accidents are real. Those youngsters who are too proud of their driving skills and go without a helmet should understand one thing. If you are good at driving, that doesn’t mean everybody else on the road is. You still need to wear a helmet, in case someone else bumps into you. However, if you still have doubt, read on, we are sure that it would clear all your doubts. 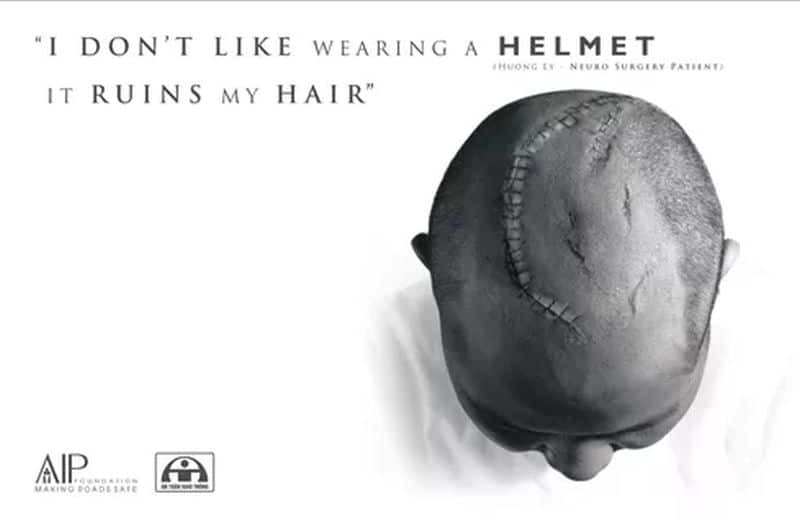 Asia Injury Prevention Foundation has recently launched a hard hitting and thought provoking integrated helmet wearing advertisement campaign. The non-profit organization is working towards reducing the number of traffic casualties in developing Asian countries. It has launched its awareness campaign in Vietnam in June this year. The main aim of the campaign was to promote traffic safety behavior, build on public-private partnerships. The integrated campaign included both print and visual medium to create awareness program. The television advertisement is showing a horrific account of road accidents that could have been prevented by wearing a helmet. The advertisement revolves around the fact that if a person does not use helmet it has far reaching effects not only on the victim but their loved ones as well, consequently it tries to provoke emotional chord of people. 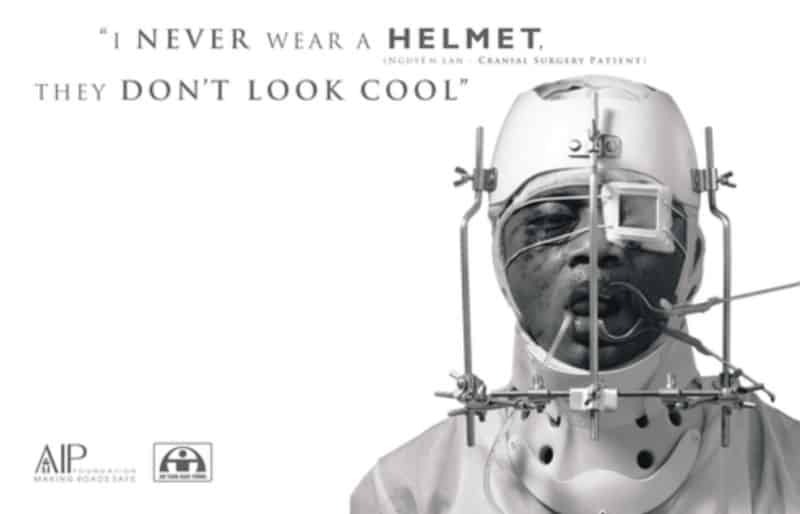 The print advertisement sarcastically showing different trivial reasons of young people for not wearing a helmet and at the same time showing their badly injured body parts. The text message of the campaign can be roughly summarized as, ‘Every year on the roads of Vietnam is killed more than 11,000 people and more than 30,000 were seriously injured. This means that thousands of families suffering from loss of a beloved one. Or simply involve heavy burden of caring for native people with severe brain injuries. The sad thing is that 40% of these cases would not happen if we simply use the helmet. Maybe not so much for ourselves, but for our families and loved ones.’ The campaign was created by Ogilvy & Mather Vietnam. Broken bones can be quite painful and uncomfortable to deal with. True that medicines and plasters do their job of bringing back your broken bone in its pace, but consuming a diet full of foods to help bones heal faster, along with your medicines, will surely improve your condition sooner than you can imagine. A good and healthy diet will aid in all these 5 steps for a perfect bone soon enough. The primary requirement for bone development or bone remodelling is calcium. And the primary source of calcium is dairy products. 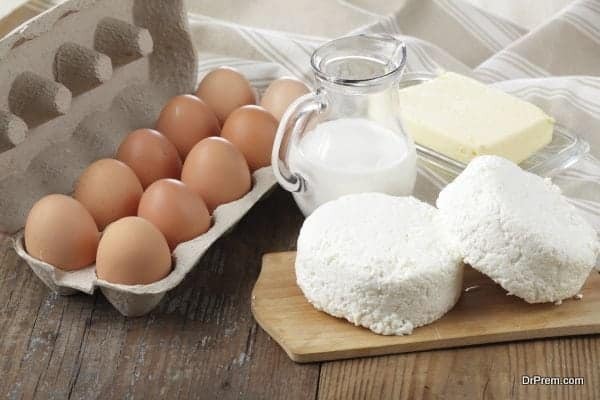 Milk, cheese, cottage cheese, whole eggs, white meat, and other dairy products are full of calcium that your body greatly needs, especially in the case of broken bones. True that calcium supplements will surely help; however, never rely on them alone completely. 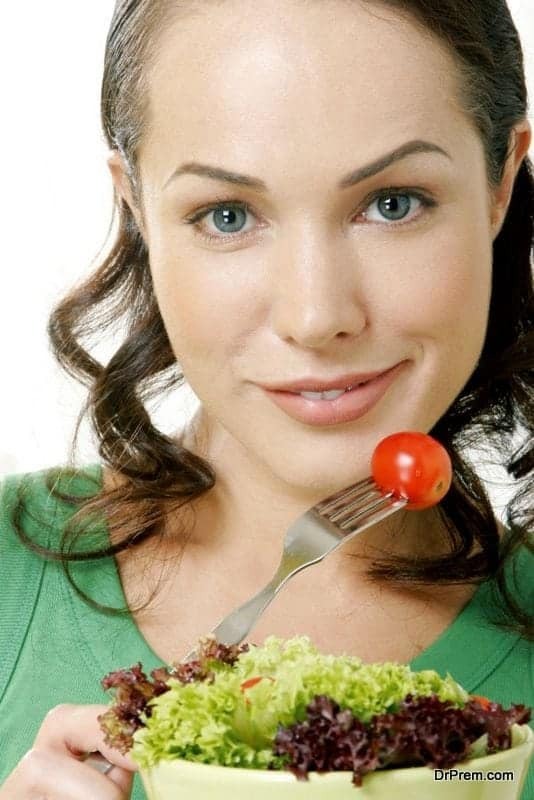 Make sure that you meet your requirements basically with your diet and majorly with dairy products. If there is a reliable source of calcium other than dairy products, it has to be green leafy vegetables. Parsley, broccoli, spinach, kale, and even bell peppers are only a few of the many examples of green veggies rich in nourishment. Especially when your broken bone is healing itself, make sure you provide it with all the necessary iron, calcium, and vitamin D as much as you can so that the healing process speeds up and you recover in no time. Pumpkin seeds, black beans, dry fruits, pulses, and nuts are amazing sources of iron, omega 3, essential amino acids, and proteins. They even double up as instant sources of energy among all types of foods to help bones heal faster. These will surely catalyse your recovery process leaving you with a healthy bone than you had, to begin with. 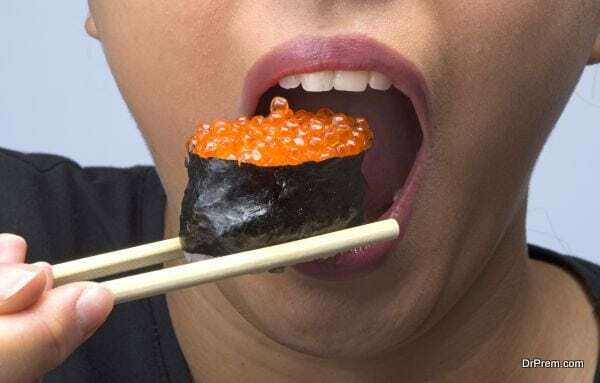 Fish like sardines, tuna, and salmon are excellent sources of essential oils, vitamin D, and omega 3 required in abundance as a necessary part of your diet for broken bones. It becomes all the more important to consume them if you face a bone injury and want to know how to speed up bone healing process. The same is the case with chicken and whole eggs. They are full of protein and vitamin D with just the right amount of calcium, iron, and vitamin B.
Calcium is the primary ingredient in your healthy bones if you are consuming foods to help bones heal faster. It plays a major role in your bone formation, development, remodelling, and repairing. Doctors suggest that adults must consume about 1 – 1.2g of calcium per day. Never compromise your diet of calcium especially when you encounter a bone fracture. Load up on calcium as much as you can from dietary sources as a major part of your diet for bone health. In case you take in calcium supplements, make sure you are under your doctor’s supervision and consume only as much as recommended. 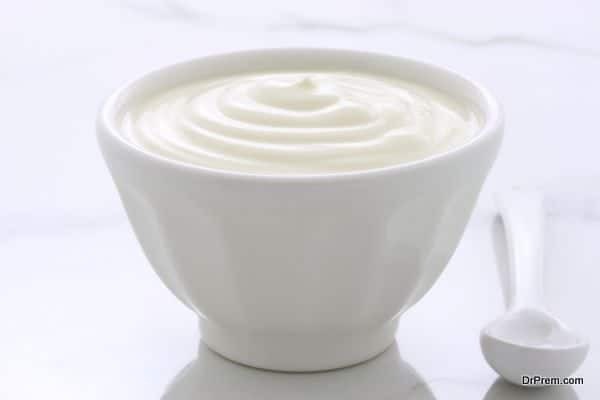 Milk, yoghurt, cheese, broccoli, beans, and tuna are excellent calcium sources. Protein is another major element important for repairing broken bones among all foods to help bones heal faster. 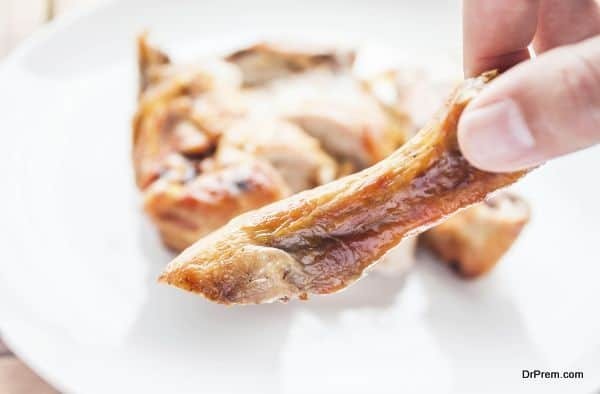 In fact, almost 48% of the structure of the bones contains protein. When one bone of your body gets fractured, another bone material needs to be produced in its place for its healing. Being the building block of the body that it is, protein does this work along with minerals like zinc and magnesium. The sources providing protein in abundance are chicken, meat, fish, nuts, seeds, and cereals. An individual adult, male or female, needs to consume 1g protein for every kg body weight, on a daily basis. In case of an injury, raise this amount to 1.2 – 1.5g. Vitamins, or vital amines, are required in small quantities for the proper functioning in terms of metabolism in the body. Sunlight is the primary natural source of vitamin D. Spending about 15-20 minutes under the early morning sun is a good way of gaining vitamin D. Although there are some food items which possess this vitamin such as egg yolks and fatty fish, nothing beats vitamin D from sunlight. The precursor of Vitamin C is collagen. This mineral helps in building blocks of fractured bone. The antioxidant vitamin C is available in many coloured fruits, vegetables, and many other such foods to help bones heal faster. However, always prefer veggies, which are fresh or even frozen. Avoid the ones which are heated or cooked as heating or ageing leads to loss of vitamins. Fresh fruits and vegetables are excellent sources of vitamins C and D.
Anaemia refers to a situation where your body does not have enough red blood cells or haemoglobin. In this condition, your body does not have the potential to heal your fractures early, since iron aids in rebuilding your bone and absence of iron will considerably slow down this process. Add iron to your diet for broken bones by consuming red meat, oily fish, dried fruits, whole grain breadin excess for a few days on a daily basis to meet the iron requirements in your body. However, don’t overdo it, since an excess of iron is also not good for your body. Potassium is an essential mineral required in foods to help bones heal faster. It helps in preventing the loss of calcium during excretion of urine from your body. Bananas, orange juice, nuts, seeds, milk, meat and many other fruits and vegetables are loaded with potassium. Although indirectly, potassium does play a role in healing your broken bones, if any. It is recommended not to have supplements unlessyour doctor advises you to. If you feel the need for taking supplements to complement your diet for bone health, do it only after consulting with your doctor. The best option you must resort to is taking in a nourishing diet loaded with foods to help bones heal faster. It is always good to avail your nutrition from dietary sources rather than just popping in pills or tablets, as they don’t always sit well with everyone’s physical health conditions. Better still, hire a nutritionist to design a specific health chart for your physical dietary needs, at least until you recover from your bone injury.